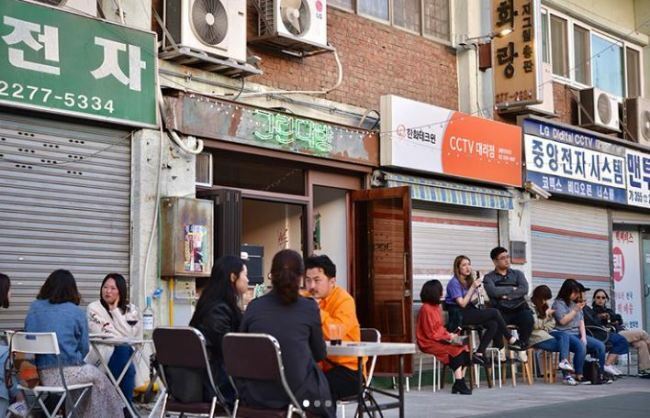 Euljiro, a major road that runs through central Seoul, is enjoying its second boom in an unexpected way as young social media users have begun frequenting the area. 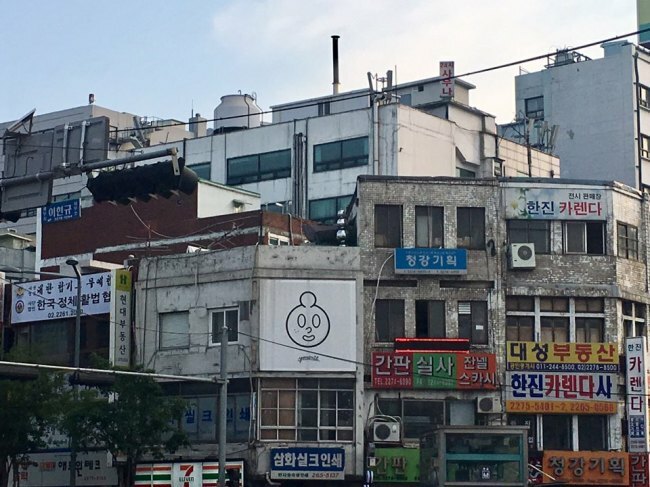 The street and its nearby area have long been the center of Korea’s industrialization and economic growth, housing small metal workshops, print shops, lighting stores and much more. Getting out of Euljiro 3-ga Station, a funky smell pierces through your nose, proving that the workshops in the area are still up-and-coming. A passerby has to be careful as countless small forklift trucks are strolling in the back alleys. Euljiro hadn’t been exactly what young hipsters and tourists were looking for. It was often thought of as an old area with timeworn buildings and stores. Euljiro has been enjoying an unexpected boom, as it attracts young millennials with its small yet trendy cafes, restaurants, shops and bars. It is tricky to find the hip places, as they are hidden behind torn-down workshops. For example, Coffee Hanyakbang. Located at where Heo Jun (he was the Albert Schweitzer of Korea in the 16th century) used to treat patients, the cafe aims to serve “the right coffee.” The owner started the business, believing that good coffee can be good for the health. With its unique interior and nice coffee, the cafe has become a landmark of Euljiro. Another example is Bar 302ho. 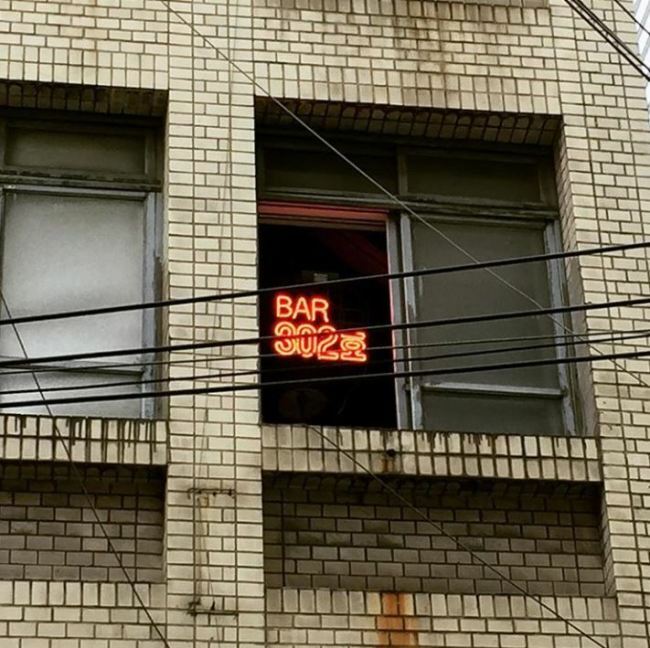 On the outside, one wouldn’t even be able to know there is a bar inside such a shabby building, looking as if it should be rebuilt right away. But behind the door, a whole new space opens up, painted in flaming red color and filled with great music. 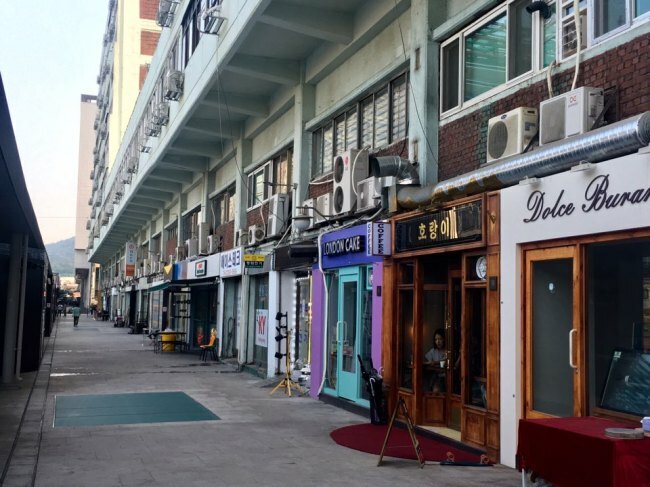 The Seoul Metropolitan Government has been supportive of the emerging trend, encouraging young people to start their stores in empty shops in Euljiro area. Sewoon Plaza, a rising hashtag on Instagram, has been fully experiencing the new wave. 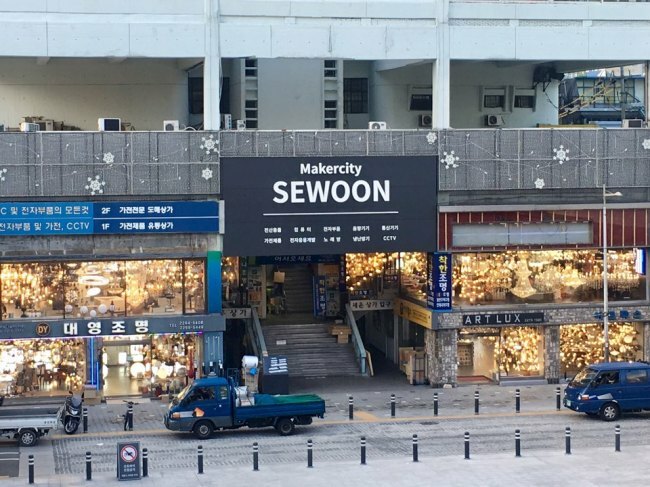 The first floor of Sewoon Plaza is filled with old lighting shops. But the third floor’s atmosphere is quite different, with young hipsters posing for Instagram-worthy shots. They visit the old arcade as there are some “Instagrammable” cafes on the third floor. The cafes were offered the space by the Seoul Metropolitan Government. Young people in Seoul find it hard to open stores due to high rents. Many shops in old areas are vacant, unable to cope with changing markets. The city government saw that the needs of the two different parties can be met. Thanks to the innovative solution, cafes such as London Cake, Horangii and Green Dabang were able to open. They came to Sewoon Plaza together in September, given the chance by the Seoul Metropolitan Government. “The location is what perfects my place. My pub is modern but the view is old. The gap is amazing,” the owner-manager of Green Dabang Kim Si-woo said, arranging tables laid out on the outside. Behind him, the roofs of old workshops spread out, creating an atmosphere of the 1980s. But Euljiro is also not an exception to “gentrification” worries, meaning the displacement of people originally in the neighborhood due to an overwhelming increase of housing prices. 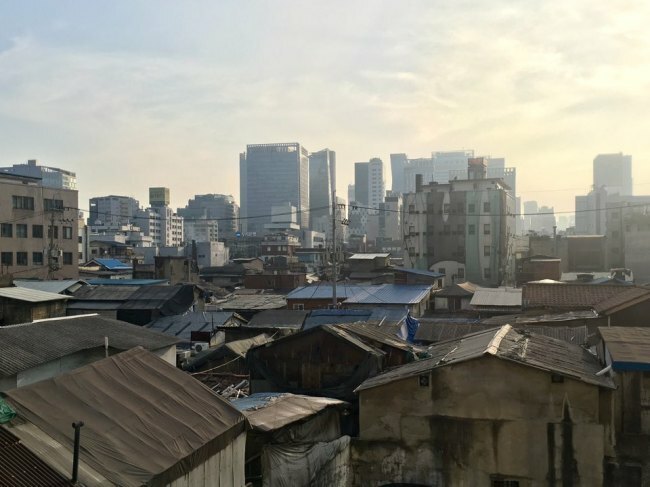 The phenomenon has been observed across Seoul, as some districts’ popularity suddenly rises, such as Mangwon-dong and Bukchon. “We are nervous,” Cho Jong-dae said, who has been running a printing house in Euljiro for 30 years. He likes that the neighborhood is changing with newcomers but at the same time he is anxious.